Several thousand racing ducks splash into the rapids of Deer Creek on Sunday, Sept. 9, as the 49er Breakfast Rotary Club of Nevada City presents its 27th Annual Gold Country Duck Race. ​The Duck Race culminates a big Nevada City weekend that includes Revolutionary War reenactments in Pioneer Park Saturday and Sunday and the 52nd Annual Nevada City Constitution Day Parade through the downtown historic district at 2 p.m. Sunday. 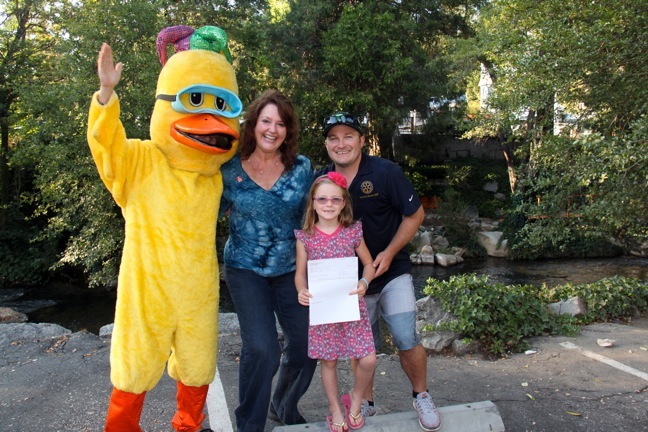 49er Rotarians and other community groups are now distributing Duck Race entry tickets. A $5 donation allows holders to compete for a $5000 grand prize, $1000 second prize and $500 third prize. Many other prizes also will be awarded. ​The duck race is centered along Deer Creek at the foot of Broad Street. The Race Festival with food, drink, music and games opens at 1 p.m. in the Century 21 Cornerstone Realty parking lot, which offers a “bird’s eye” view of the racing ducks in the creek below. Admission is free. Entry tickets will be available at the event. The toy duck competition begins at 2:30 p.m. The top 40 ducks in each of five preliminary races qualify for the 5:30 p.m. Grand Prize Final. 2018 Ducktator (race director) Jody Osceola said proceeds from the race go directly to local and international Rotary projects, including the worldwide effort to eradicate polio. “Matched with our hands-on efforts and personal donations, your funds help us make a difference here and in the world,” she said. The duck race is 49er Rotary’s largest annual fundraiser and benefits many youth and community groups. 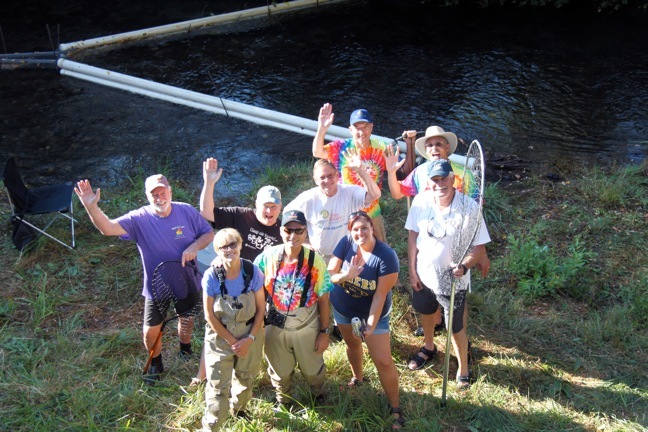 Over the years, 49er Rotary has raised more than $1 million to benefit local and international service projects. For details, see a 49er Rotarian or go to www.49erRotary.org. Last year’s winner, Avery Maier, 7, of Nevada City holds her $5000 grand prize check. She’s pictured with 49er Rotary mascot Whitewater Willie, 2017 president Mary Anne Davis and 2017 Ducktator (race director) Kevin Cookson. Part of Rotary’s Duck Race crew next to the Deer Creek race course.